In the best news you’ve heard this month (and all previous months of your sad, Tiffany-less life), Chadstone's Club Royale opens on Saturday 5 August and there are some killer prizes you’ll want to sink your nails (and tokens) into. 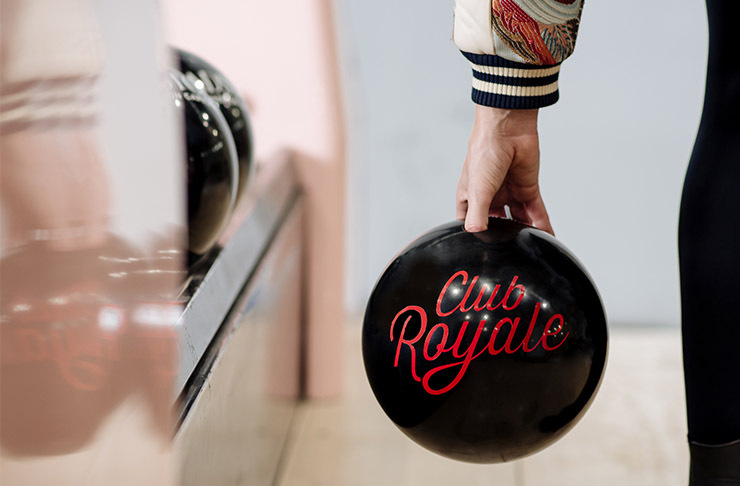 Located across three spots within Chadstone, there is over $200,000 worth of prizes up for grabs at Club Royale Bowling, Club Royale Arcade and Club Royale House of Skill. Forget poorly stitched stuffed animals, Chadstone have legit prizes into these arcade games to make your shopping spree even sweeter. Each claw machine holds Perspex boxes which represent the killer prizes you’ll want in your hot little hands. Simply roll up your sleeves (and take off those heels, they’ll only slow you down) at the Club Royale House of Skill to nick prizes from Tiffany & Co, Laduree, The Daily Edited and more. If that’s too much pressure (and your date has been reeled into playing for a dream Mecca Maxima vouch), head to Club Royale Arcade to release your inner child (let’s be honest, she never left) and beat the classic games from your childhood. Collect your tickets to redeem a prize at the end of the night, we promise it’ll be better than an eraser. Club Royale Bowling is also popping up outside of Target. Cleverly sophisticated with a retro twist, it’s the perfect pit stop between bargain winter season shopping and splashing out your tax return. The best part is that shops will be open until late as part of Club Royale, with retailers open until 9am on Saturdays and 7pm on Sundays through August. To complete the night, stop by the The Dining Terrace for dinner and take your crew along to the one of the latest films at HOYTS. Club Royale will be open from 4pm to 9pm Saturdays and 4pm to 7pm Sundays throughout August. Five $1000 Chadstone gift cards are also available to win, simply have your Club Royale loyalty card stamped at every location for your chance to win the easiest free dollar, dollar, dollars that you need. Editor's note: This article is proudly sponsored by Chadstone and endorsed by The Urban List. Thank you for supporting the sponsors who make The Urban List possible. Click here for more information on our editorial policy.